Our Mission is to provide a compassionate and consoling service that helps families through a difficult time. 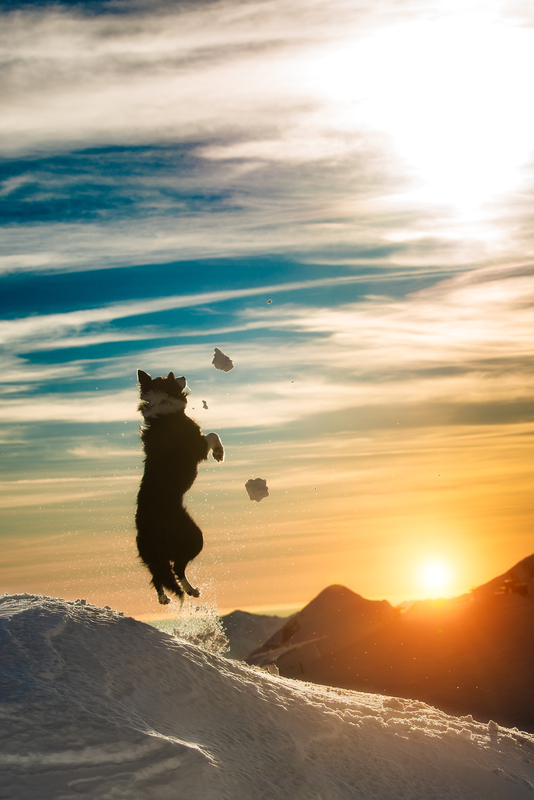 Rest assured every pet is treated with dignity, respect, and love as our Team understands pets are part of the family. 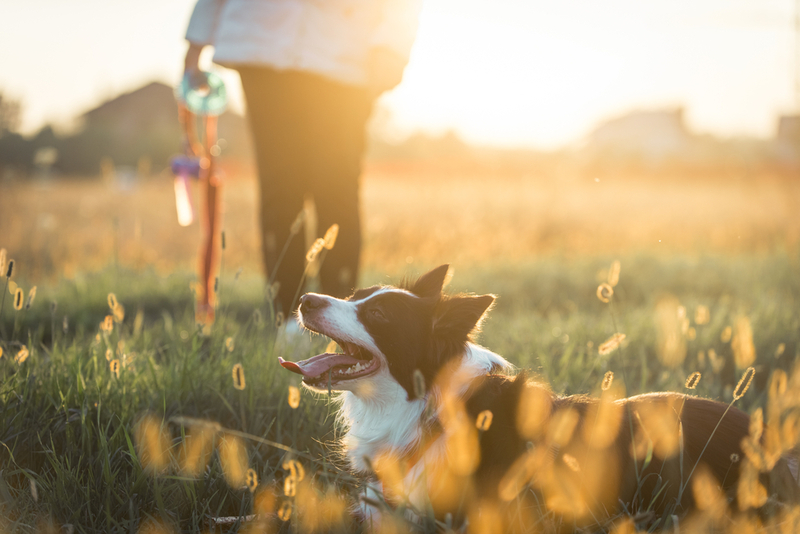 Through our Team’s exceptional service Families will be confident their pet is in good hands during the journey to a better place. 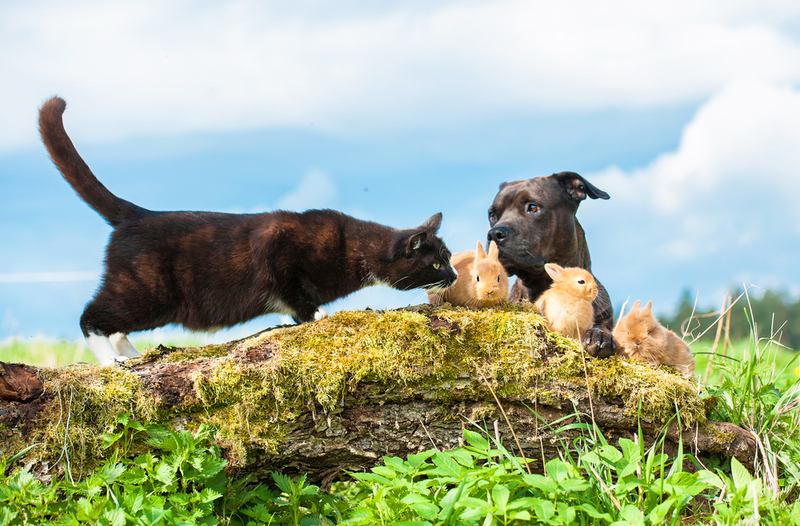 What should I do when my pet passes away? The first thing to do is contact Pet Care Crematory. A phone call works best. Our phones are answered 24 hours a day 7 days a week. On the phone, we can discuss the different options that are available to you and a time to meet. Monday through Friday 8:30 a.m. - 4:00 p.m.
We are available to meet outside of those hours at an additional cost. Every cremation is completed within 48 hours so you can have your pet back at home as soon as possible. Removal from your vet's office. 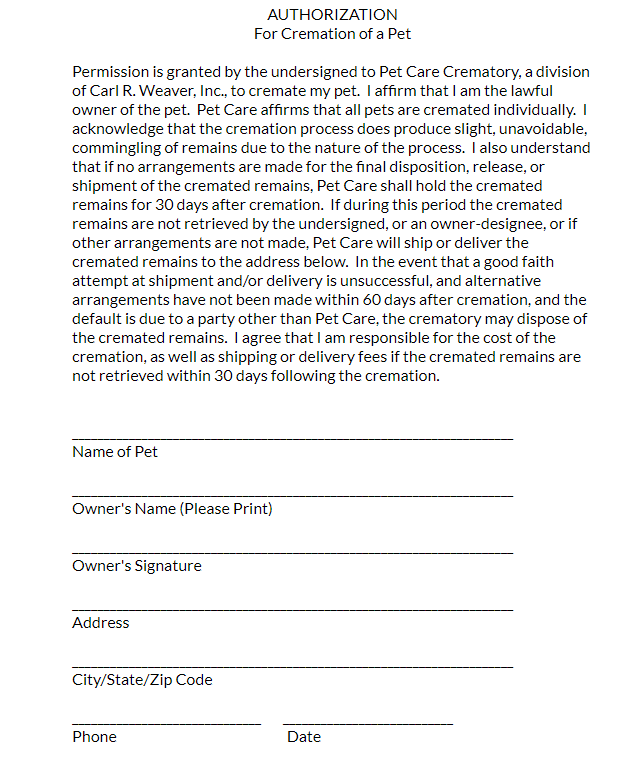 A cremation authorization form needs to be completed for every pet and can be done with our staff at the time of arrival or printed from here and completed before coming in.